Chelsea manager, Maurizio Sarri has spoken on his side’s Premier League 5-0 victory over Huddersfield Town in the Premier League on Saturday. Goals from Gonzalo Higuain (2), Eden Hazard (2) and David Luiz (1) gave Maurizio Sarri’s men all three points against Huddersfield. 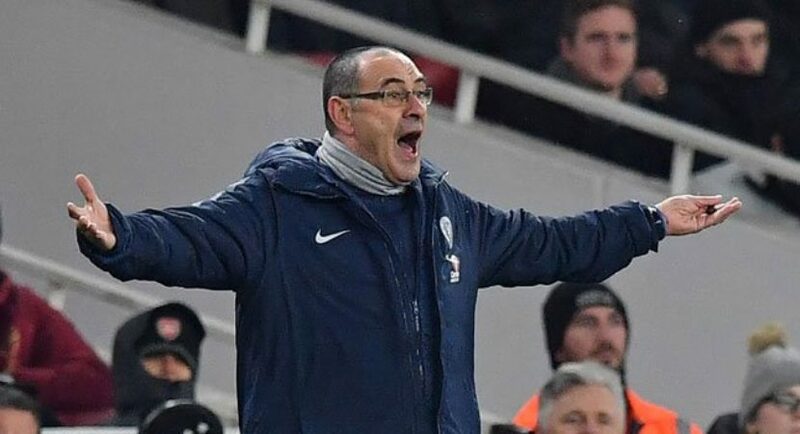 Sarri, who was pleased with the Blues’ performance during the first 30 minutes of the game, said he saw his football. I think we started very well. In the first 25, 30 mins I saw my football,” Chelsea’s official website quoted Sarri as saying. “We moved the ball very fast with good movements off the ball. Chelsea will now take on Manchester City in their next Premier League fixture.